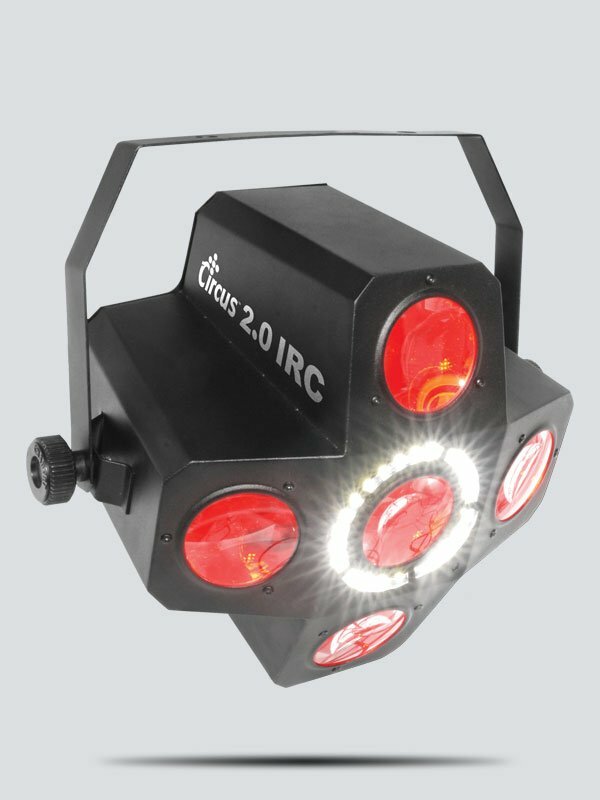 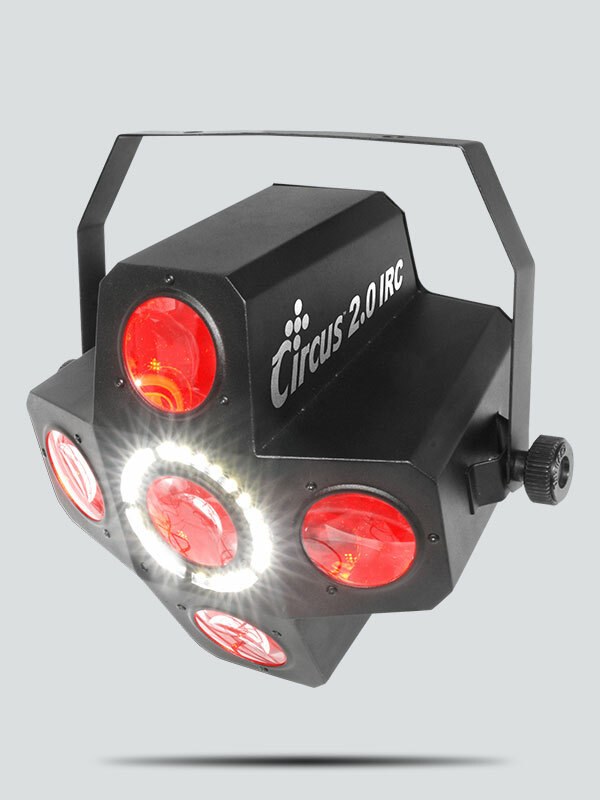 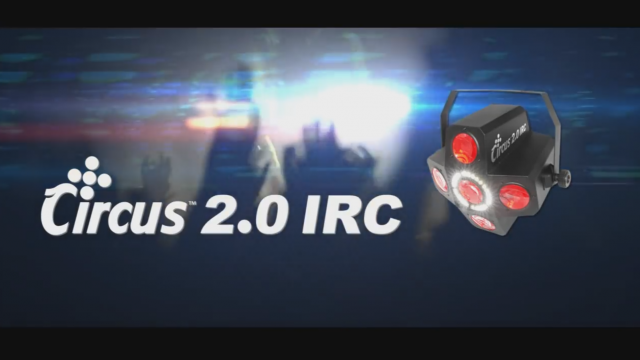 Circus 2.0 IRC is an ever-changing effect light with flowing, razor-sharp beams and a ring of punchy white LEDs optimized for strobe effects. 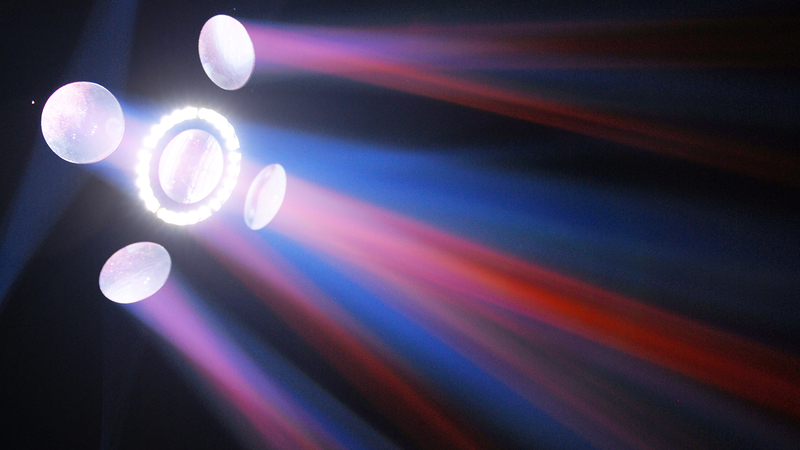 Five separate, synchronized pods create bold effects both in the air and onto any surface. 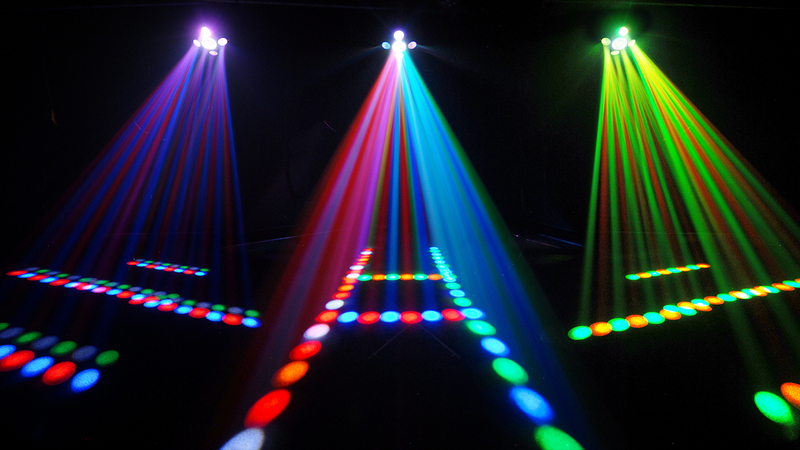 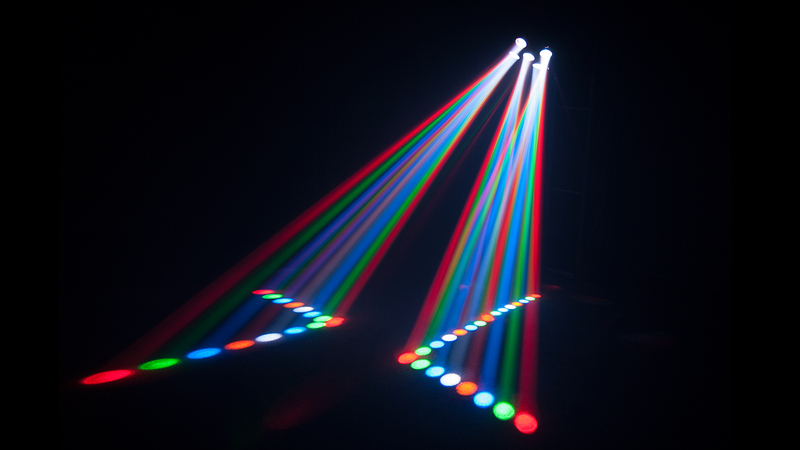 Red, green, blue, white and amber LEDs provide a multitude of colors to achieve any look. 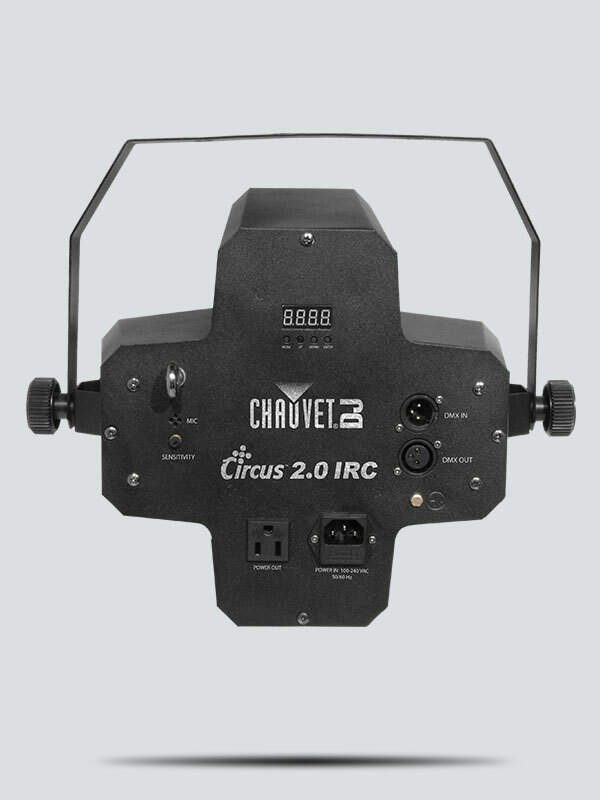 For easy access to the automated programs, use the optional IRC-6 remote to take command of the fixture. 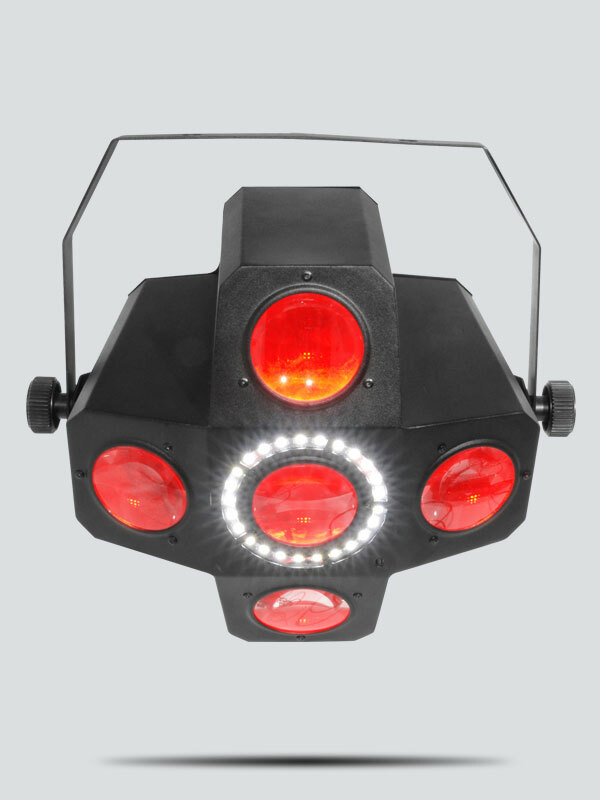 Used it a couple times. 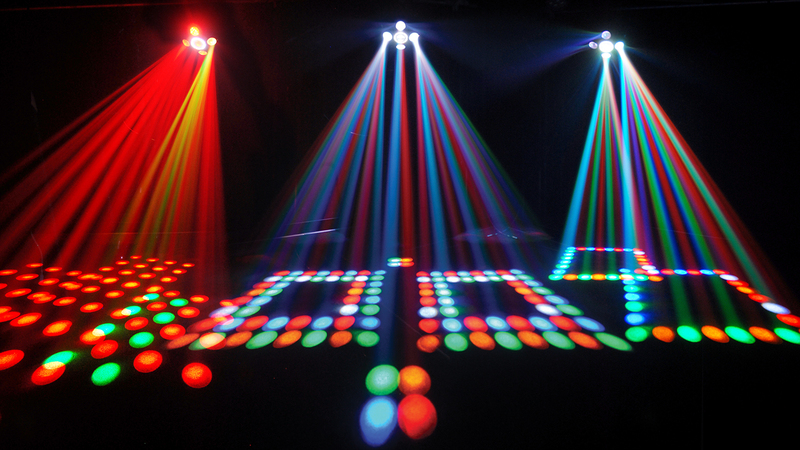 It is a great centerpiece.